All of our guest rooms are provided with free WiFi, cable TV, air-conditioning, and our gourmet breakfast. We provide private off-street parking for all of our guests, please let us know if you require more than one space. 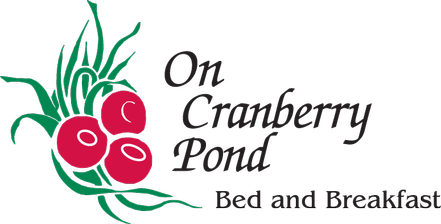 One glance and you'll understand why the Cranberry Room is a favorite of our many repeat guests. This expansive 362-square foot room boasts a private, full-size bath with shower and a large walk-in closet. Rich greens and warm cranberry accents complement the traditional New England scene which is just beyond your private sitting area. Watch the sunset over the breathtakingly beautiful cranberry bog, glimmering pond and thick stand of pine trees or sip your first cup of coffee in the tranquil early morning. The room also features a 32-inch flat screen television with complementary cable TV, WiFi, a refrigerator, and a Keurig coffee maker with an array of coffee. Room rates include our gourmet breakfast. Call or email for room specials and extended stay rates. If this room is booked, please call as cancellations do occur. The Harvest Room is a large space with private bath to use as your base for your daytrips and explorations of the historical Southeastern Massachusetts coast and countryside. It features a view of the glistening pond, home to swans, geese and other waterfowl, a radiant cranberry bog and surrounding thick pines. A large closet nook provides plenty of room to stow your clothes, gear and souvenirs. A 19-inch flat screen television with complementary cable TV, WiFi, refrigerator, and Keurig coffee maker. Our gourmet breakfast is included. Call or email for room specials and extended stay rates. If this room is booked, please call as cancellations do occur. Walk into a well-appointed four-room Master Suite featuring 600 square feet of luxurious living space with separate living room and bedroom. The kitchen has a cozy table for two, a full-sized refrigerator, glass top stove, microwave and convection oven, and a Keurig coffee maker with an assortment of coffees. The spacious living room has a panoramic view of the beautiful grounds, including the ponds, often with a pair of swans and flock of geese calling it home, and cranberry bogs. In-room entertainment on a a 32" flat screen television, and of course there's complementary cable TV and WiFi are always available. Relax in either the oversized Jacuzzi spa or step into the private, oversized shower. With separate living room and bedroom, this suite is an ideal haven for those who either need a site-seeing base or extended business stay. Call or email for room specials and extended stay rates. If this room is booked, please call as cancellations do occur. This 363-square foot, two-room suite is dedicated to the local Wampanoag tribe. The Native American Suite features a private bath with an oversized shower. In your living room, sit at a writing desk from the early 1800s as you recall the past and compose a note from the present. The living room also has a sofa bed that opens up to sleep one. Included in the room is a convenient small refrigerator and a Keurig coffee maker complete with an assortment of coffee. Each room has a flat-screen television with complementary cable TV and WiFi. Our gourmet breakfast is included. Call or email for room specials and extended stay rates. If this room is booked, please call as cancellations do occur. The cozy 186-square foot Rose Room offers a quiet respite during your visit to the heart of New England. The Victorian rose in soft hues of tree moss green and rose petal pink recall an English garden and echo the beautiful garden view. The room features a private bath with full-sized tub and shower, a refrigerator, a flat-screen television with cable TV and WiFi included. Use your own personal Keurig coffee maker to get your day started with a cup of coffee or brew a cup of English tea after a day spent exploring all that Southeastern Massachusetts has to offer. Your room rate includes our gourmet breakfast. Call or email for room specials and extended stay rates. If this room is booked, please call as cancellations do occur.